Today we will travel a little closer to home to explore a stylish little studio with a big lavish heart. 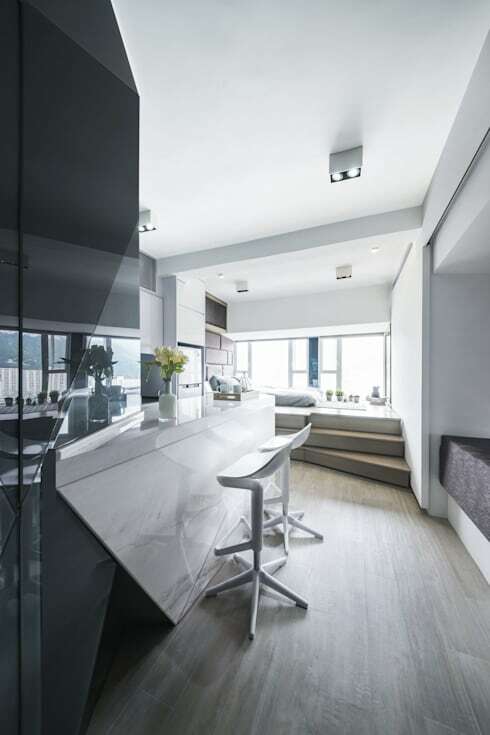 It is located in the middle of Hong Kong and covers just 25m² of floor space. 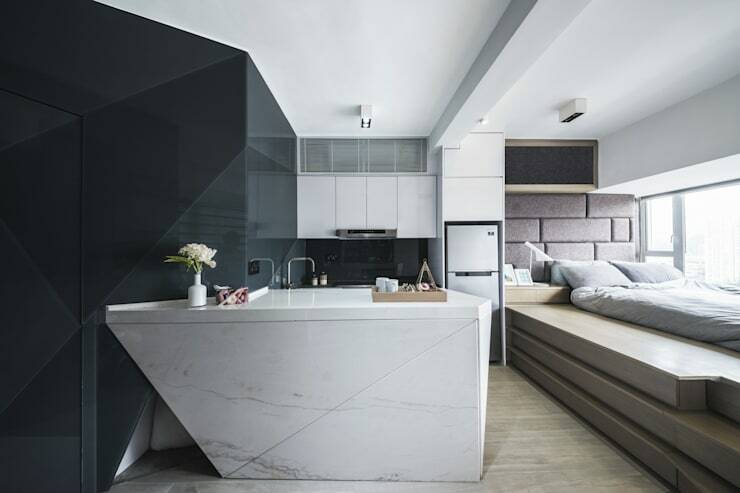 Hong Kong-based interior designers and decorators, Zip Interiors, worked with the original construction and removed the interior walls to create one big (relatively) open space. They used lots of techniques commonly used to make small homes feel big and spacious. The impressive thing about this home is not the smart small home ideas they used, but the style and verve in which they have been executed. So get ready to be impressed and come with us on a photo tour to check this little home out! 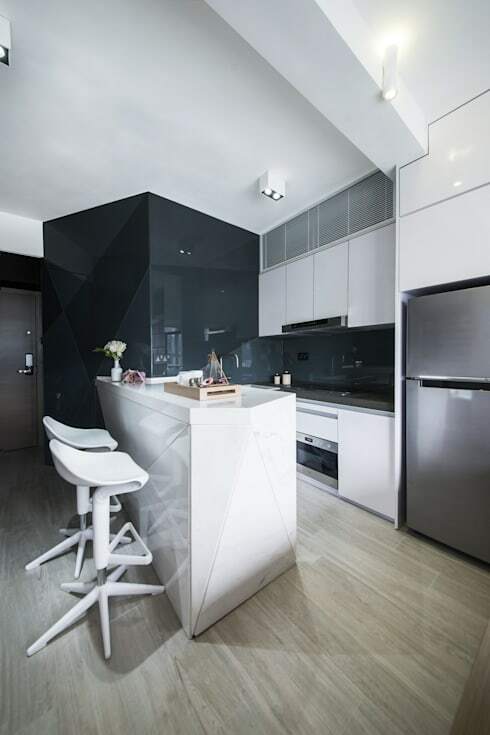 The stunning monochrome kitchen has a wall made from dark grey highly polished tiles. The dark grey tiles also contrast beautifully with the white marble kitchen island that has been designed in an irregular shape. This unique shape really energizes the design. As a whole, the kitchen has a modern, geometric aesthetic. Of course, in a single open plan design like this, it's always important to create a design that can also work within the larger design of the home. 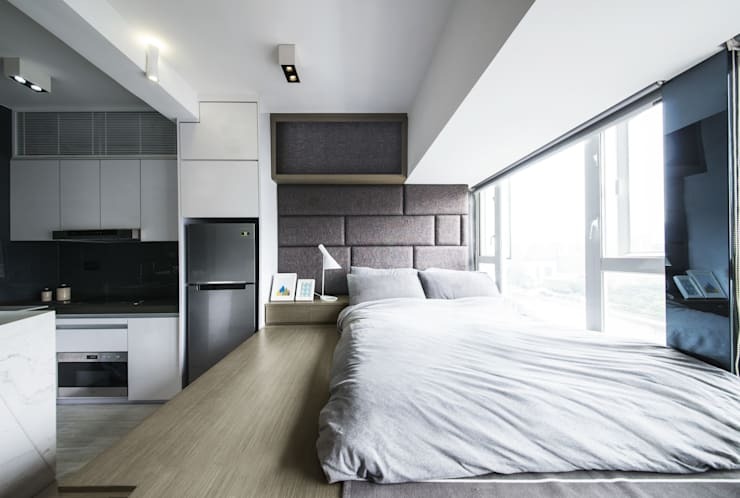 Here, the monochrome decor provides that crucial neutral counterpoint to the soft neutral colours of the sleeping platform. The bedroom area has been raised with a wooden platform to align with the bay window. The platform design frees up the space ordinarily used by a bedroom frame and helps separate the sleeping area from the kitchen and hallway. The bed is placed right up against the window to make the most of the view and thus make the home feel larger than it actually is. The home was designed for a young couple with a small puppy and there are several pet-friendly modifications to the home. The hallway area has a small nook to the right as a sleeping area, and the bar table to the left has a special hidden passageway to the bathroom. As an aside, note how the dark tiles reflect the light and lighten up the effect of using such a daring tone in a small home. The surprising thing about the monochrome kitchen is the modern geometric tile. It gives the kitchen a very impressive, slick and modern look. The white kitchen cupboards also run all the way to the ceiling and make the most of every inch of space. Note how there are virtually no kitchen accessories in view. This makes for a calming, neutral looking kitchen that fits well with the larger design of the small home. The sleeping platform has 3 steps to accommodate the challenges of living with a puppy. This extra floor height also provides extra storage space. The sleeping area also contains lots of hidden benefits. 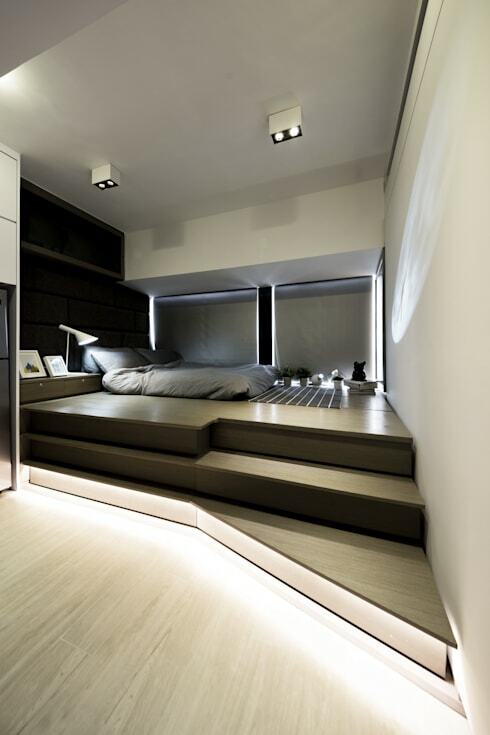 Above the bed is a large hidden compartment for extra storage. On the right is a space for a projector screen for movie nights and in one corner we even have some pillows for guests to enjoy the river view. The small bathroom certainly has a luxe feel about it. 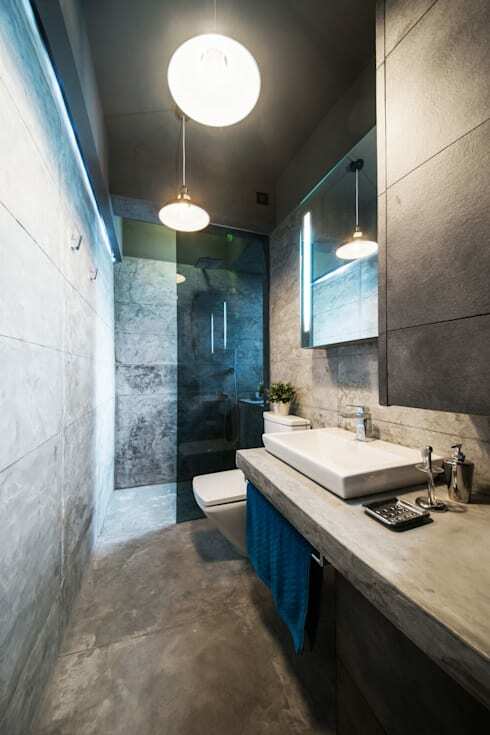 The tile runs all the way to the ceiling, the shower room is designed with a smokey blue glass and the fittings are all modified to create the impression of one, seamless surface. If you love the modern feel of this home, have a look at The traditional home with a spectacular modern surprise. What do you think of this modern little home?